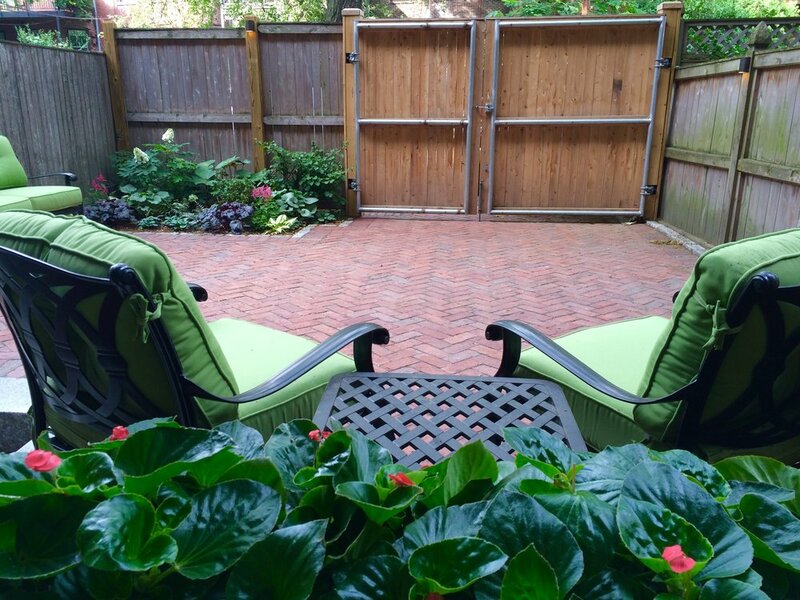 SOUTH END BOSTON — Nawada Landscape Design, Inc.
Braddock Park is located in Boston’s South End where space is very limited. The clients and their 3 young children requested to maximize every inch of usable space within the courtyard, while addressing a major drainage problem at the back door. In this beautiful historic section of the city, the design called for using traditional materials. We were able to reuse and recycle the authentic existing brick on site. All bricks were lifted, drainage problem was corrected, and new design layout was implemented. 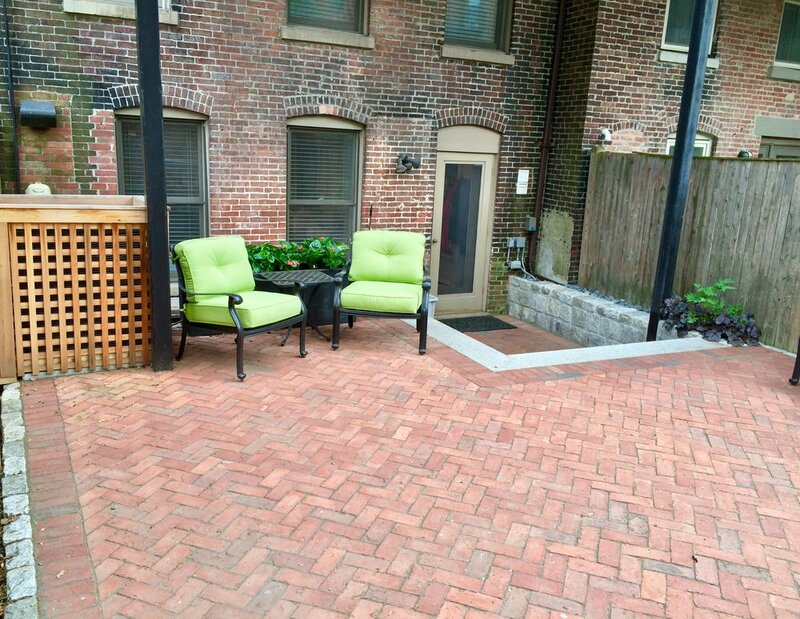 The brick pattern changed from running bond to herringbone, creating a charming courtyard. 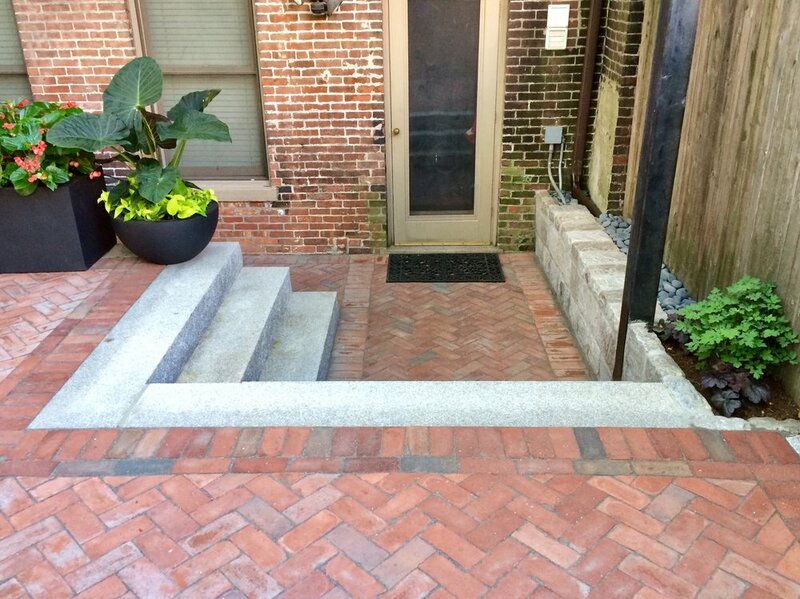 Monolithic granite steps allowed for easy access to the back door and coupled as a place to sit for the kids. New planting and low voltage outdoor lighting was also installed to put the final touches on this new intimate space.